'For the last five years I've not walked away from a problem and I'm not walking away from this one,' McNeil says. 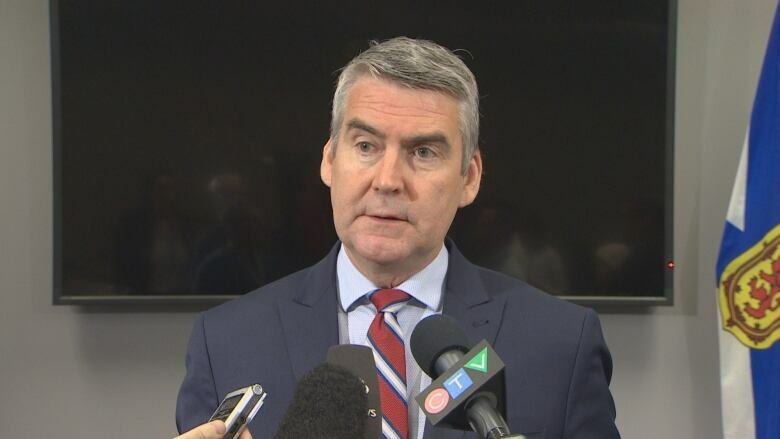 Premier Stephen McNeil appears to be placing his government on another collision course with the Nova Scotia Teachers Union, insisting Thursday that upcoming contract talks should include discussions around fixing a $1.4-billion deficit in teachers' defined benefit pension plan. McNeil reiterated a stance he's voiced previously — and one day after union president Paul Wozney told a legislature committee that pension and contract talks should be done separately. The premier said unlike the union, he doesn't believe teachers would have to give concessions in a new contract to free up money to beef up the pension plan. "But it [pension] is part of the conversation," he said. "If we are looking at the totality of the compensation related to teachers, then that should be part of it." He accused the union of wanting to ignore the problem — something he said is unacceptable to the province, which is also a trustee of the plan. "It makes absolutely no sense to me that the members of the teachers' union would want their union to ignore the pension plan problem and do it in isolation. They need to come to the table with solutions. Stop running away from it. It's a problem." The pension deficit was highlighted by provincial Auditor General Michael Pickup in a report last October. Pickup called the state of the plan "troubling" and warned there was no formal plan to deal with it. He also referred to it as "everybody's problem" because the teachers are on the hook for half of the unfunded liability, while the province was responsible for the other $700 million. Pickup's report said the province has paid an extra $57 million into the teachers' pension plan over the past five years, and he noted that pensioners retired since Aug. 1, 2006, have not seen an increase in a decade. McNeil said Thursday that the union should know by now who they are dealing with. "For the last five years I've not walked away from a problem and I'm not walking away from this one," he said. "We are going to do this at the bargaining table and have a conversation about it." The current contract for the province's 9,300 teachers, which was imposed by the province in 2017, expires this year.